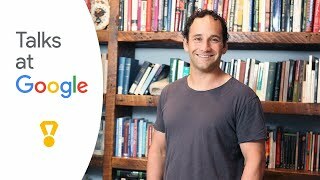 Chess champion Josh Waitzkin visits Google's Mountain View, CA headquarters to discuss his book "The Art of Learning: A Journey in the Pursuit of Excellence." This event took place on April 10, 2008, as part of the Authors@Google series.<br>Josh Waitzkin is an 8-time National Chess Champion, 13-time Tai Chi Chuan Push Hands National Champion, and Two-time Tai Chi Chuan Push Hands World Champion. In 1993 Paramount Pictures released the film Searching for Bobby Fischer, based on the highly acclaimed book of the same title written by Fred Waitzkin, documenting Josh's journey to winning his first National Championship.<br>The Art of Learning is an autobiographical discussion of the learning process and performance psychology, drawing from Josh's experiences in both chess and the martial arts. Interview by Peter Allen, director of Google University.